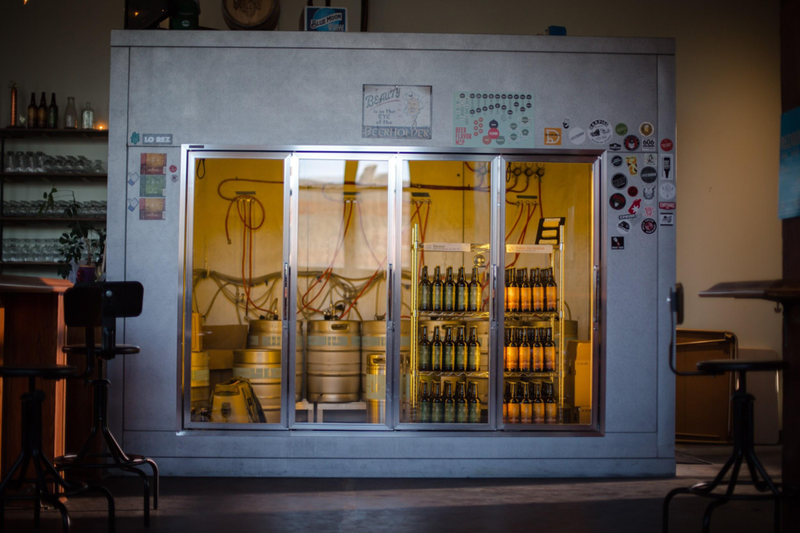 It took nearly four years for Lo Rez brewing to open their taproom doors, with co-founders Dave Dahl and Kevin Lilly first coming up with the idea in 2013 during casual conversation. That side conversation was soon center stage with Dahl and Lilly getting serious by taking a few formal brewing classes, gaining experience in local Chicago breweries and eventually searching for a place Lo Rez could call home. They eventually found their home in the Pilsen neighborhood and opened their doors for business in June 2017. Dahl and Lilly opted to focus on more traditional styles of beer, shying away from the recent trend of hop-heavy flavor profiles. At any given time, you’ll find 11 of their beers on tap that range from Belgian sasions, malt-forward Scottish ales to more crisp offerings like a Czech-style Pilsner. Each of their beers feature names derived from their previous careers in the tech industry, such as “Position Zero” Pale Ale. The idea was to go from “high-tech” to “low res,” or a back to an Old World where craftsmanship was valued and people looked to connect at a local pub with friends and neighbors instead of using technology. 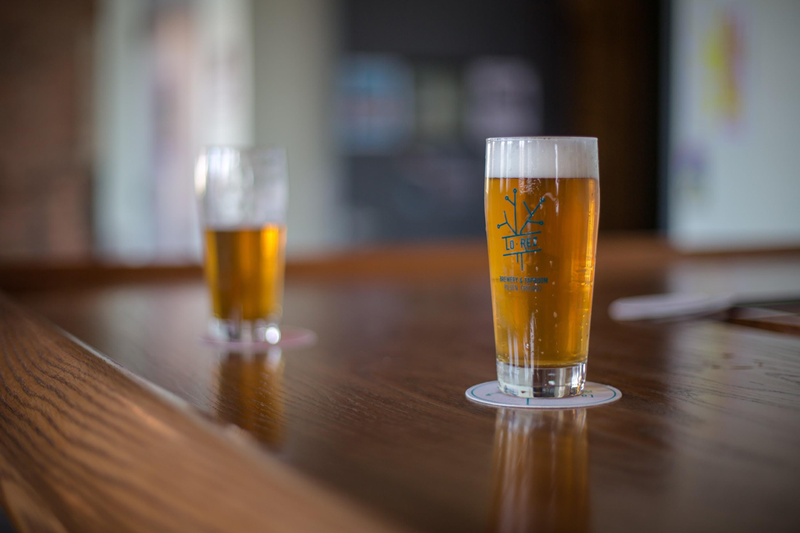 There’s plenty of opportunity to connect with friends and neighbors at the new 2,500 square foot taproom. The loft-like space has an industrial feel, with ample room at the 40 foot long oak bar, picnic tables, couches and even an outdoor space available to suit groups large and small. The exposed brick, string lights and high ceilings make for a truly chill environment conducive to both a quick beer before you head home for the evening or a night out with a big group. While it’s still early going for Lo Rez, they hope to have tours available to the public soon, with eventual plans to hold live music and events in their outdoor space. With a few other breweries opening in the Pilsen area recently, Lo Rez is sure to join the small but growing list of must-try destinations for craft beer lovers in the neighborhood. Early rave reviews for Lo Rez means we’ll be seeing more of them in the near future. You can currently find them on tap in a few select bars and taprooms in Chicago, in bombers for sale at their taproom or pouring at BeerHoptacular on November 4th.